This afternoon, my handsome boyfriend was suffering from dry hands from the Southern California heat. As I looked at his hands, I remembered years ago when my mom and I got this incredible, all natural vanilla honey sugar scrub. We would leave it by the sink and exfoliate our hands daily with the amazing scrub, then apply lotion afterward. My skin aways felt silky smooth, and there was no dead, dry skin in sight! The only problem is: sugar scrubs like that generally go for a costly $30 per tiny jar! I decided to take matters into my own hands (literally). I have a recipe so easy & cost effective, your dry skin & wallet will be thanking me. This also makes the perfect gift or girl’s night DIY craft! Grab a bowl. Mix your coconut oil with your honey. 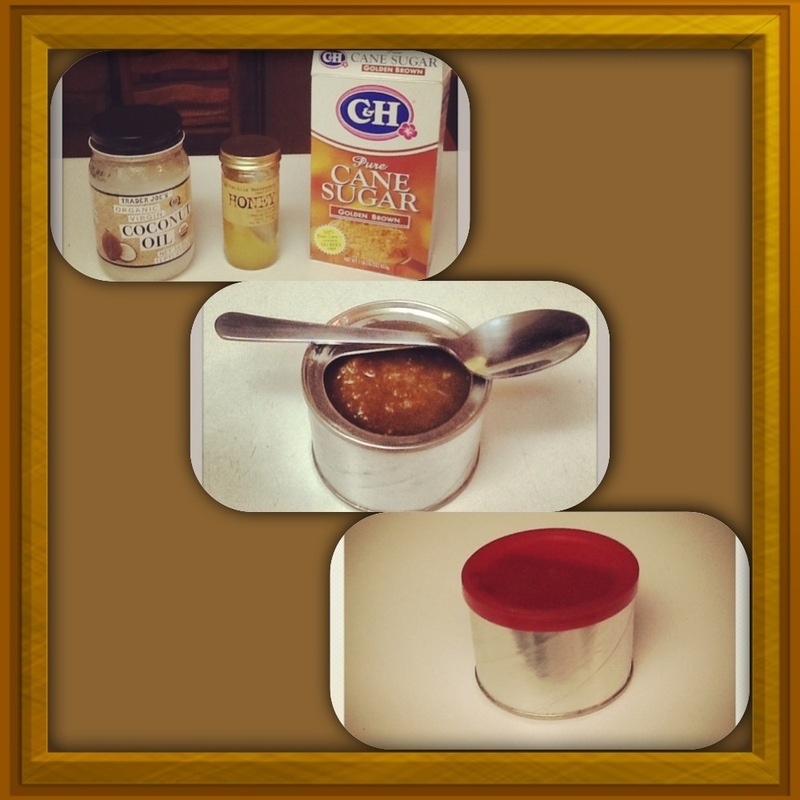 Gradually add the brown sugar (feel free to add more to get the consistency you desire). You can add 1 tsp of vanilla, but it smells so delicious already…so that’s optional. This scrub smells so good, you’ll be fighting the temptation to eat it for dessert! Scoop it into the used & cleaned jar/container of your choice. (If you’re making a lot as a gift, mason jars are super cute). You can use this on your hands, or in the shower as a full body scrub! Enjoy your lovely, sweet, exfoliated skin…and enjoy the money you saved by being a DIY girl! Previous postI love you anyway.